The rumours are true! 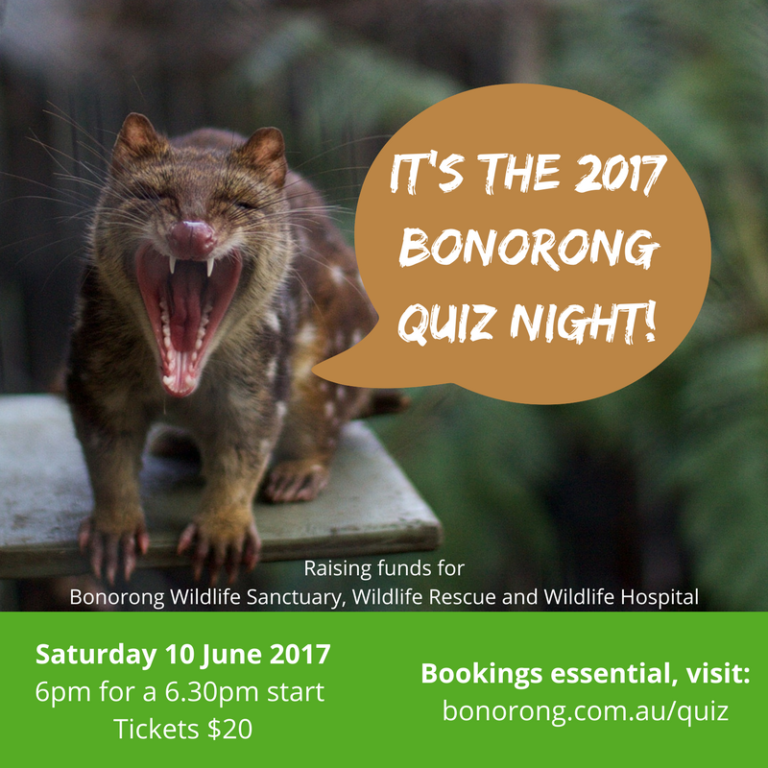 2017 will see the return of the Bonorong Quiz Night as our major fundraiser - and we can't wait to see you there. We'll be raising funds for the Sanctuary, Wildlife Rescue Service and the Wildlife Hospital. Older PostThe Bonorong Food Hut is Open!